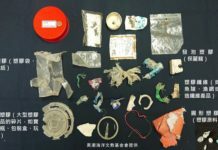 The Chinese government uses two illegitimate ways to deny the sovereignty of Taiwan as an independent country: on the one hand, China says to the world that Taiwan is an inseparable part of China; on the other hand, China utilizes whatever she could access to interfere or blockade Taiwan’s participation of any international organization. 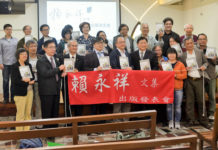 Therefore, following her long-term support for Taiwan independence and against China’s annexation of Taiwan, three thousand PCT pastors, elders and members will attend the campaign, entitled as “Say No To China’s Bully – Cast Referendum Vote Against China’s Annexation”, organized by Formosa Alliance to be held at Taipei on 20 October, 2018. On 4 October 2018, Vice President Mike Pence of United States of America delivers a history-breaking speech in Hudson Institute, an American Think Tank at Washington D.C., and he seriously condemned China has systematically and recklessly intervened into US foreign policies and domestic affairs from trade, business, defense, diplomacy, mid-term election, and even in the issues of human rights and freedom. Mr Pence points out that China not only forces American airline companies to change Taiwan’s nationality to be part of China but also asks three Latin American countries to sever diplomatic ties with Taiwan. And these maverick actions from China have seriously threatened the peace and stability of Taiwan Strait, according to Mr Pence. Under such a sinister attack from China, Mr Pence sends a clear message to the world that President Trump will not back down, the American people will not be swayed, and the US government will carry on her One China Policy as reflected in three joint communiqués and the Taiwan Relations Act. In addition, he always believes that Taiwan’s embrace of democracy shows a better path for all the Chinese people! Seeing Mr Pence’s insights, here we all PCT members express our deep appreciation and affirmation and anticipate his visit of Taiwan in a not too distant future can come true as stipulated in the Taiwan Travel Act. In her national address on 10 October, President Tsai Ing-wen pledges to defend current Taiwan’s freedom and democracy, strengthen Taiwan’s irreplaceable position as a strategic hub within neighboring countries, and maintain a balanced relationship between Taiwan and China following a principle of “Four No”: No abrupt escalation to confront each other; No surrender under coercion or by force; No confrontation to deteriorate cross-strait relationship due to accidental or emotional row; No betrayal or sacrifice of the sovereignty of Taiwan and the will of the Taiwanese people. 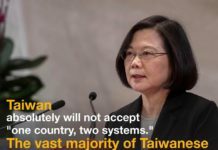 For these promises from the President Tsai Ing-wen, PCT expresses her affirmation to Tsai administration’s strenuous efforts to maintain such an equilibrium status quo by defending Taiwan sovereignty as an independent country, witnessed by applying the principle of justice in many domestic political agenda, like transformative justice, pension reform, ill-gotten KMT party assets settlement and the forward-looking infrastructure project and etc. 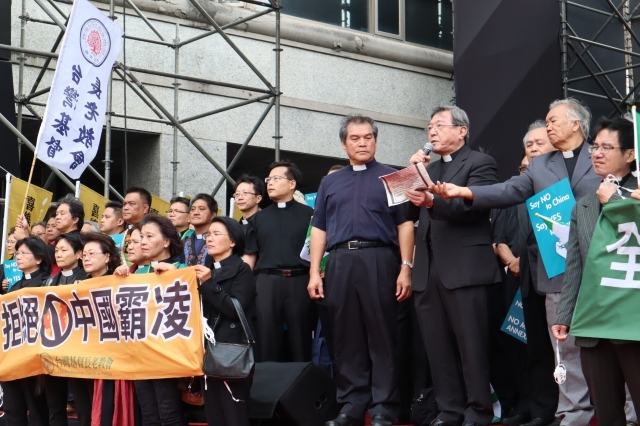 Facing the precarious international situations around us, we here reiterate our confession, that PCT as the church “ is rooted in this land, identifying with all its inhabitants, and through love and suffering becoming the sign of hope”, and remind our long-term call to Taiwan government and the public, that is to build Taiwan as “a new and independent country. ” Therefore, we and all Taiwanese people jointly call to the world: Say No to China’s Bully and Annexation! Let Taiwan Be A New and Independent Country!